Google Glass and Heinz Purple Squirt Ketchup. How can these products be such market failures? We are swimming in data, yet it's a fact that over 50% of products fail every year. Why is this happening despite having so much data easily accessible to us? Of course, much of the answer is that humans are messy and unpredictable. How do we cope with unpredictability and find meaningful insight? In this session, we will explore the rise of quant analysis and the fall of qual analysis. Are we better off? Real life blatant example of when quantitative methods/research/analysis : 2016 election. Michael Moore was gathering qualitative data in rural parts of the US and the writing seemed to be on the wall, but we latched onto what we feel like is safer data (quantitative). The designer and the scientist become a more fluid, evolved idea. example of woman cleaning house: quantitative analysis would provide things like; how many hours per week she cleans, what types of products she uses, her patterns. What would be missed is something important that was only revealed during conversation: she has deep rooted emotion tied to cleanliness and her mother, whenever she spoke about her mother, she would grab her neck. Qualitative vs. Quantitative : qualitative is the spark, quantitative is the fuel. The qualitative research is the why, it’s the influencing and emotional impact. There’s a reluctance for clients to want to pay for the qualitative research because it’s more nuanced and uncertain, however it builds confidence through depth and understanding. It’s a harder sell to the boss. Or the bosses bosses boss. Problem in market industry: there are not a lot of good qualitative moderators available. What’s the process of bringing qualitative research into quantitative research? It’s the blending of insight with analogies. Doing so can allow the processes to get directionally dangerous, allow space to fail, and working toward a solution. This will require a massive cultural shift to combine these methods and be ok with failing, to see it as a necessary part of the process and not as a negative. Training people on how to sell ideas: create an emotional connection to the idea through compelling stories. Contextual research: co-creating products alongside users. Story: Maheld’s firm has a project of working with a utility company to transition from analog maps/highlighters/binders to a digital system. The designers rode along in the trucks with the drivers to gain insight in how they use their tools to perform their job. The boss was certain that the designers wouldn’t be able to tell him anything he didn’t already know, but he was able to. The most basic machine learning is the survey. The ethical layer – responsibility of the designer to help make sure the machines don’t do EVERYTHING and mess it up. Why retro packaging works: it’s a safe bet, unlikely to offend anyone. Jill Nussbaum: design manager at Instagram in NY. Worked at R|GA, worked on Nike and has been a teacher for 9 years. She teaches a class called Design in Public Space. Their brands are in the spotlight currently. Jill talked about the Instagram rebranding project: biggest logo and UI change to date. started with research specifically focusing on the core element of the brand that people connect with (rainbow and camera lens). There will always be lovers, haters, and mime creators. The UI changes improved user experience a ton. IG did a good job of PREPARING THE COMPANY as a whole for the rebrand. The involved everyone in the company all through the redesign process so everyone was excited and felt a proud ownership when the new UI launched. 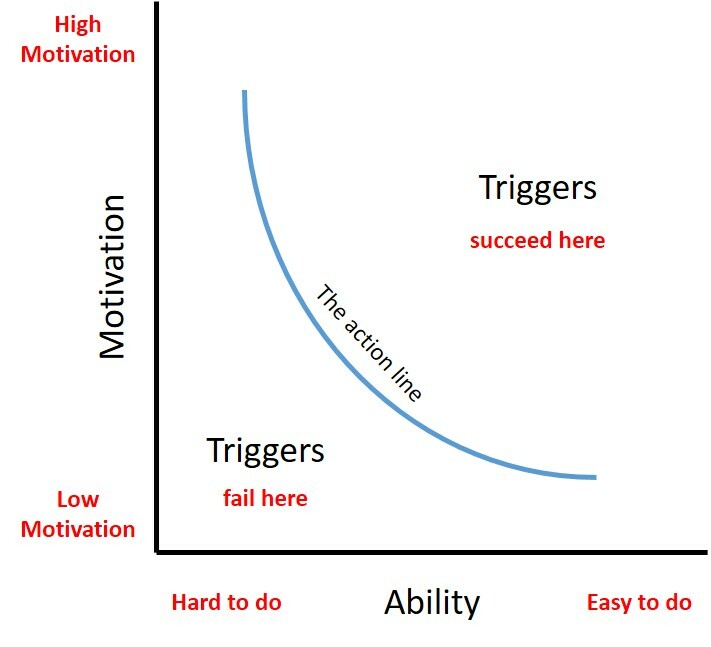 The truth for how successful the product is is always somewhere in the middle between the SUPER negative and SUPER positive feedback (outliers). Don't get stuck in overhype or in trolls. Tina talked about Twitter's intentional redesign and had a significant shift from a social media app to a news app. This change happened about a year ago. On the tweet, there's a retweet, like, comment and significant change is real time for like and retweet counts (animation). Realtime user feedback. When things break on the internet, things break on TW also, so they have immediate feedback. Why did IG change the design? Instagram hadn't had significant change since launch in 2010, community had grown and products had grown, so they decided they needed a change as well, it was time for the brand to also grow. It's was scary! Why did TW change the design? For TW, it was more about focusing on the most important piece of their brand and focusing efforts to communicate. Tina would describe it as a focus rather than a product change. Ostensibly to bring live into the product. Also, they hadn't changed fro 10 years. John saw an opportunity to bring OTT (over the top) and also an opportunity to entirely change the user experience and marketing/brand focus. They made a video of people using the mobile product. They got the new product launched in 14 months. Launched with new show Handmaids Tale. He says it’s important for the WHOLE COMPANY to be an advocate for the end user and that this core piece sometimes gets lost. Narrative, continuous storyline is important for designers to keep sight of this so it doesn't get lost in all the KPIs, data, etc. Focus of Tina's class she teaches is the narrative. Her students create what she calls design fiction. It's important to tell the story of the product in the near future to get buy in and excitement for everyone. Can also show a few different paths they can take – create stories and films of people using the product. ^^ go into understand phase quickly so they can understand if they're moving in the correct directly. When do people fire twitter? Is there anyone in the company who owns overall user experience end to end? At Instagram, they have a slogan that says “nothing is someone else’s problem” so the expectation is that everyone is responsible. They have a series of internal reviews and a weekly design review. Design leadership from across company, not just your product team. It's the responsibility of each design lead to know what is going on across the company. So, even though there are 40 designers at IG, the end user experience feels like there's one designer. Companies are very design-centric, do you ever have to explain what DESIGN is? There are a lot of different designers at Instagram who have different skillsets. Instagram is a design lead company and one of the most important questions they area always asking is who should we bring in at which point in the project. Did you anticipate the reactions to the redesign when launched? Hulu got ahead of it with videos and how-to use the new products. "Disruption that doesn't serve the user is just indulgent." - John. So make sure the improvements help the customer and communicate the why and the process. Most Valuable Product (MVP): for each redesign, did you launch what you wanted? Twitter : design systems project let them launch in a couple months (WHAT). Because they built a strong foundation so it was easier to launch from there. Instagram : they have a design systems team (SO IMPORTANT) so they can solve problems without having to solve the entire UI for the whole product. They looked at how users in Indonesia were hacking IG as a platform for ecommerce. They were using hashtags to group like products. They hacked search by putting the word ‘pants’, for example, in as the name so their pants for sale would come up easily when someone searched pants. Hulu: it was a year-long launch in which they interated and grew as they went. They all spoke about the importance of getting offsite and starting initial design phase on paper. Jill, Instagram: one of IG's design principles; do the simple thing first. Design all of the things and all of the possible solutions and then figure out (through data, research, rigor) and then, from there, iterate and simplify. Tina, Twitter: so important for us to understand the people who use the product, especially international and those not around us. Empathy. Designing for 10 people is very easy, designing a universal experience that works across countries is. Soft skills: very important to work in a large organization; how to negotiate, persuade, present well. John, Hulu: courage. A lot of designers are introverts, so it can be hard to stand up for design. Being exposed while creating; the data as well as the craft. And then stand with a design through critiques. The greatest designs are when everyone initially thinks you're completely out of your mind, but then they start to tip and see that you're absolutely right. Mantra: be courageous about what you're doing and being ok if it fails. opening fact: 55% of our understanding of conversation comes from visual cues. Kate has a background and interest in both behavioral psychology and UX strategy. She is a former theater nerd and has been in 40 musicals, so she has strong feelings about motion in general. She explains that our brains have evolved to derive great meaning from motion and so it makes a lot of sense that we include animation in our UX strategy. Clear connection : a clear visual that shifts cognitive focus. An example is an animation that activates when clicking 'add to cart' and a little dot floats from the product up to the cart icon to make the connection. talked about our working memory, as humans, of somewhere between 2-7 items (the jury is still out) and so, based on that concept, visual elements should be combined. Reduce clutter to reduce mental clutter. Optimistic UI: This concept is where the product assumes success and keeps the user moving to the next step rather than forcing the user to wait while the system catches up. create your narratives around the user's journey, what makes sense? This taps into our dopamine release (PAVLOV), so be responsible and don't abuse it. It's highly addictive and so validating (that's why we're addicted to social media LIKES). It's powerful enough to consistently change behavior. Kate used the example of consideration of what might cause an epileptic episode. Identify 3-5 adjectives that sum up the brand and use these as good guard rails. Mailchimp is a good example. Apple: simple, declarative, clean. Brand trait of HUMAN examples: think of the rhythm of heart beats, breathing. Example: Being John Malkovich, why were the puppets so human like? Because of the fluidity of their movements. Brand trait of RESPECTFUL examples: tea ceremony (respecting the process). This should be contextual (ie: the first time user/experience can be slower, take your time vs a command as in DO IT NOW). Brand trait of DOWN TO EARTH examples: grounded, point of origin, using a sense of gravity or physics. FInal notes - she suggests Keynote and After Effects as good animation software to start with. FIRST RULE: Always know your audience. They also make a podcast called It'sWorthDoingRight. What do we know about BAD culture? the user experience systems experience feature bloat, lack of scaleable infrastructure. This leads to critical product failure. Yahoo wanted to transition from a search engine to a media source, so they acquired a bunch of companies. As they were evolving, consumers were confused about what they were, so they lost the audience and user base. Mostly men worked on the product, it didn't have any capability around the menstrual cycle which effectively alienated 50% of the users. This mess was egregious to offensive. In their 2015 image label feature, the product identified groups of black folks as gorillas. This is an example of how a shortcoming in a diverse group of engineers and creators leaves holes. This product was encoded with the same unconscious biases as it's creators. Referenced Kate Heddleston for her Diversity in Tech expertise. They also referenced her blog post about The Null Process. Referenced the podcast How I Built This with Guy Raz. The episode is an interview with Yvon Chouinard, the CEO of Patagonia. Referencing the Growth At Any Cost issue - Patagonia was in danger of falling into this when they decided to slow down and take action as though they would be around for 100 years (long term). It totally worked, Patagonia is a wildly successful company. They are ethical and created sustainability by taking a pause. FAV TAKEAWAY FROM THIS SESSION: "You have to fight your tendency to fall in love with your invention, you need to fall in love with your problem"
David used the Frogg Behavior Model (same as Kate did in her Animation session same day) to illustrate the part of the human experience where designers have the most influence to prompt behavior. What behavior are we trying to prompt? how can we design for trust on an expedited timeline, sooner rather than later?